I've come to accept the fact that I have no artistic skill whatsoever. I can't even draw a decent stick figure when I want to. So all I can do is appreciate the work of other people that have been blessed with great hands at creating artwork. 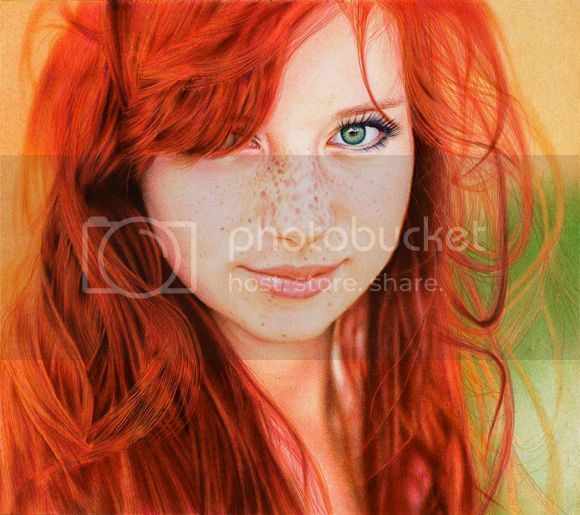 The image you see above is not a photograph and as hard as it is to believe, it's actually a hand drawn picture using a couple of ball point pens. Yes, the same ones we use at school when we have tests and write down notes when tablets weren't that big of a deal. If you want to see more just go ahead and check out deviantART user VianaArts page and feel a little more bitter about not being able to draw stuff like this.